Wax 'n Max's visit to Australia continues today with a trip to Ascot Racecourse in Perth for Melbourne Cup Day. For those of you who were missing earrings yesterday, we've got a major pair on the docket today! 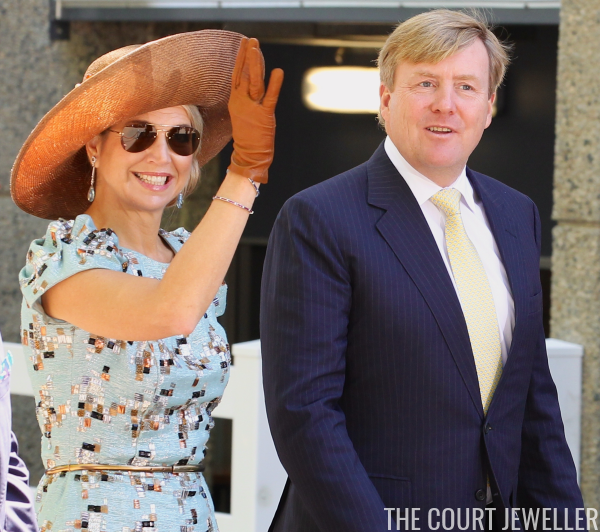 Maxima wore one of my favorite dresses from her closet, pairing it with Queen Juliana's diamond and aquamarine drop earrings. She also wore a set of bracelets studded with emeralds, rubies, and sapphires. This angle also lets you see the gorgeous pins that she used to secure her chapeau. One of them is set with a citrine, the other with a lighter stone -- but woe betide anyone who steps too close to the queen, with the sharp ends sticking out! 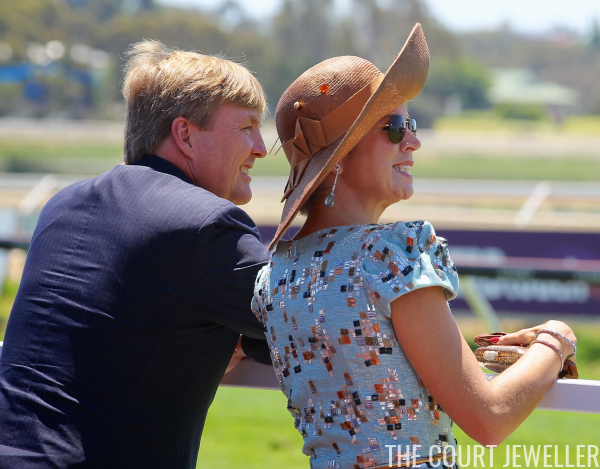 Overall, though, I think these were excellent jewelry choices for a day at the races!